of both the mother and baby in pregnancy and birth. Pregnancy and birth, as a natural process, has the potential to be enhanced with specific scientific chiropractic care allowing the mother and child to adapt and function the natural way it was intended to do during this beautiful process. 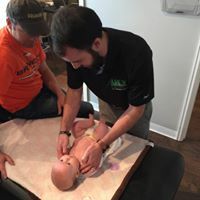 Maternity Chiropractor Louisville: Chiropractic care during pregnancy is vital to the normal physiological function of both the mother and baby in pregnancy and birth. In the mother, chiropractic care prepares the pelvis for an easier pregnancy and birth by creating a state of balance in pelvic bony structures, muscles and ligaments. Chiropractic care removes torsion of the ligaments that support the uterus thus potentially reducing aberrant tension to the woman’s uterus. 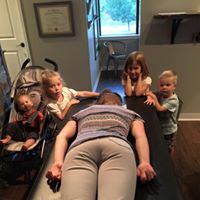 Chiropractic adjustments reduce interference to the mother’s vital nerve system which controls and co-ordinates all of her systems and functions. By improving maternal function we are decreasing the potential for unnecessary intervention. 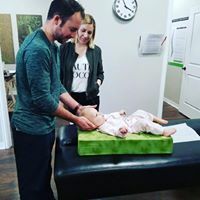 To the infant, chiropractic care reduces interference to the mother’s nerve system allowing for better baby development. Pelvic balance allows the baby greater room to develop without restrictions to the forming cranium, spine and other skeletal structures. Chiropractic care offers the baby the room to move into the best possible position for birth. With proper fetal positioning, there is a significant decrease in dystocia and the resulting birth trauma caused by intervention.